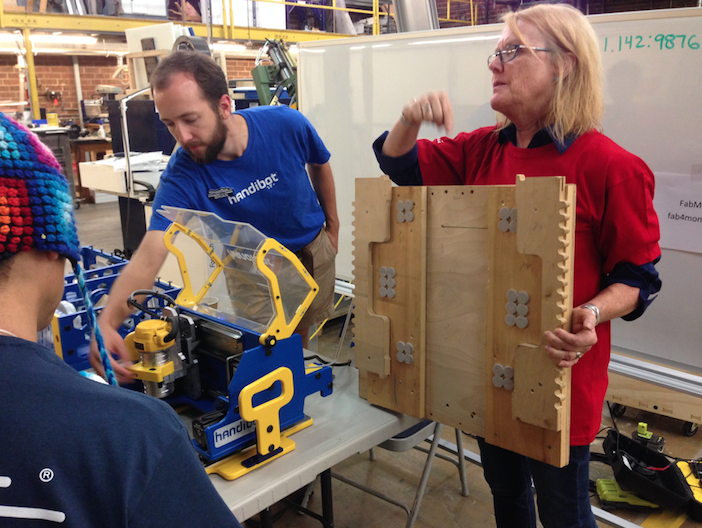 These are just a few of the thoughts that FabLab managers from all around the world shared about their time at a unique PRE-Fab 11 Event that ShopBot held at their headquarters in Durham, NC, on July 30 and 31st. About 25 visitors were in attendance, visiting from the U.S., Peru, New Zealand, Canada, Taiwan, Paris, and Israel, among other locations. 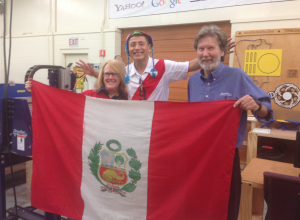 They all work in FabLabs (where ShopBot Tools are used along with laser cutters and 3D printers), and all were journeying to the U.S. to participate in Fab 11 World Conference being held in the Boston area Aug. 3-9. 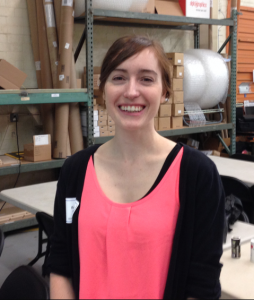 A bit of background: what’s a FabLab? Originating from MIT’s Center for Bits and Atoms, FabLabs bring the technologies of digital fabrication to people in smaller U.S. communities and in developing countries around the world, giving people the technological tools that can enable them to leapfrog into 21st century lean manufacturing for the betterment of their local communities. FabLabs have spread from inner-city Boston to rural India, from South Africa to the North of Norway. Activities range from technological empowerment to peer-to-peer project-based technical training to local problem-solving to small-scale high-tech business incubation. Projects being developed and produced include solar and wind-powered turbines, thin-client computers and wireless data networks, analytical instrumentation for agriculture and healthcare, and custom housing. 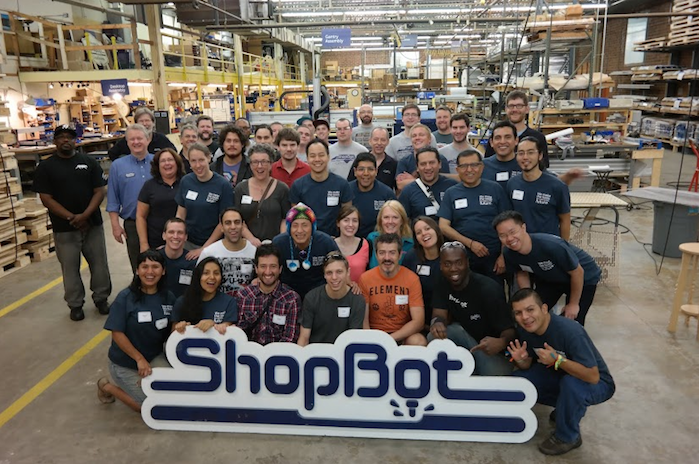 Fab 11 is the world organization’s 11th Annual Celebration, and ShopBot decided to hold this pre-conference event to provide Fab 11 conference attendees a tour of ShopBot, specialized training to enable them to teach others CNC skills, and support them as advocates for CNC and ShopBot throughout the world. FabLabbers test the power of the vacuum. It holds! ShopBot led seminars on both days, covering topics such as the knowledge you need to become a “ShopBot Guru” — useful tips for setting up the ShopBot, working with the vacuum hold-down, special circumstances for international use of the tools (including power requirements and international computer set-up), as well as common troubleshooting topics. The seminar leaders also provided teacher training, enabling these FabLab managers to teach V-Carve Pro, sharing examples of problem-based learning, and issues to consider when using ShopBot along with other digital fabrication equipment in a FabLab. 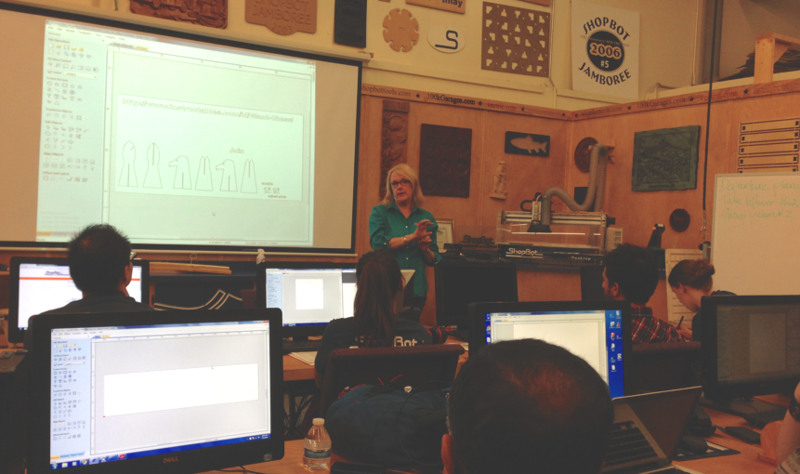 The attendees also shared their experiences educating others about using ShopBot tools. 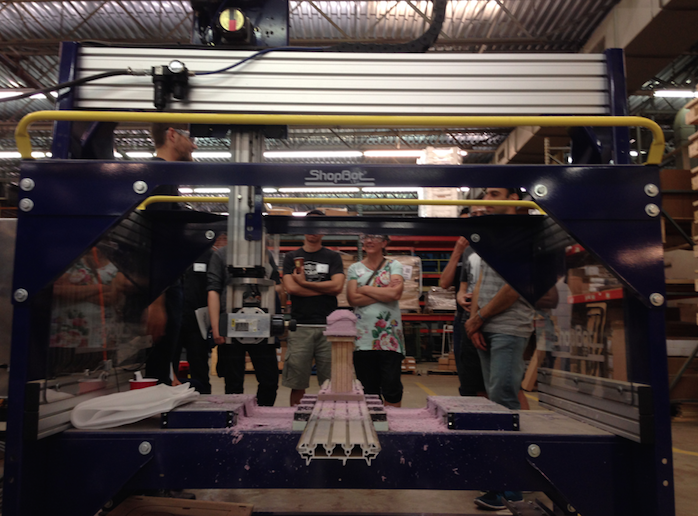 Attendees also got an inside peek at ShopBot’s development of FabMo. An open source project, FabMo and its G2 motion-system core form a platform linking your favorite device such as a smartphone or tablet to the digital fabrication work that you want to do on your digital fabrication tool. Meeting some of the guests. At the Fab 11 conference which followed ShopBot’s event, Kelly led a hands-on workshop: “Design, Build and Race an Aquatic Robot,” in which participants ‘dove into’ the world of Ocean Engineering, using digital design and fabrication tools to engineer an efficient frame for an underwater robot and race against others to see whose is the fastest. Benito Juarez is the President of FabLab Lima (www.fablablima.org). 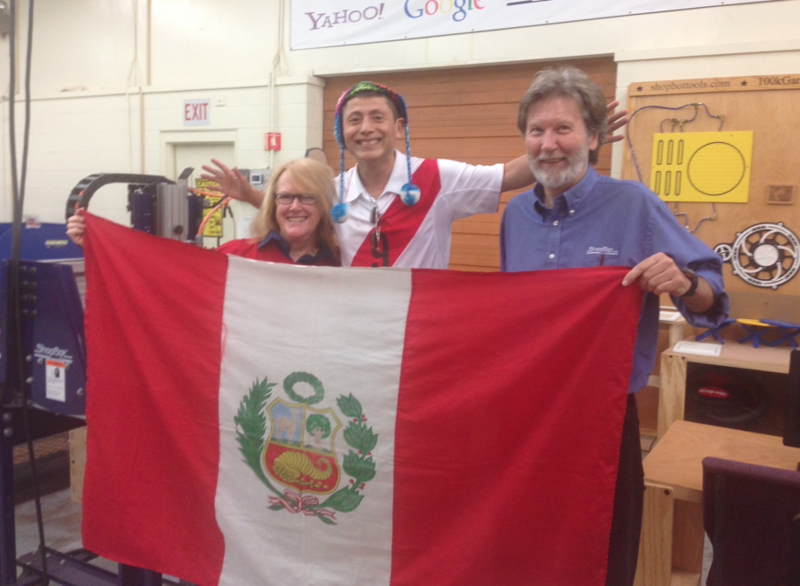 We spoke at length about his big dream project, to build a floating FabLab on the Amazon river — allowing them to serve many communities. 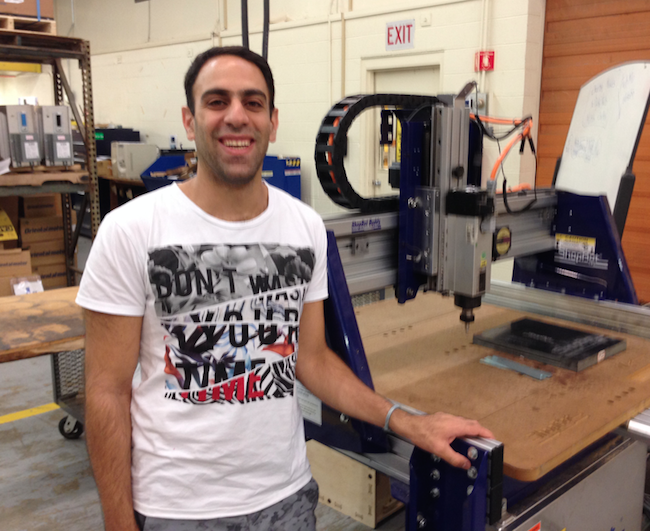 Ohad Meyuhas is the Director of Education and Technology for FabLab Israel. He told me that he’s started several FabLabs in Israel, and is now working on setting up smaller makerspaces in libraries, and teaching teachers to educate their students. Ohad also works for Stratasys, where his role to is be a liaison to academia; he brings them custom digital fabrication solutions to meet their needs. 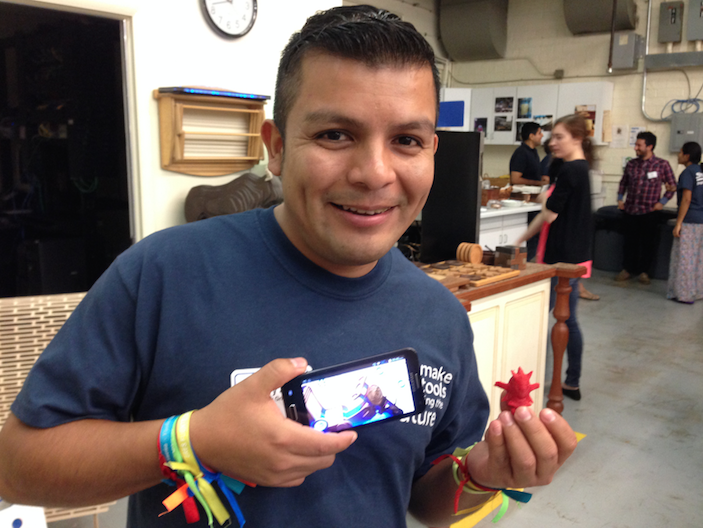 Henry Sanchez from Lima runs a FabLab that’s focused on introducing the world of digital fabrication to kids — very young kids aged 4 through 12. The website is www.n-evo.com. Henry says that the parents naturally become very excited about learning more when they see what their children are learning and doing. 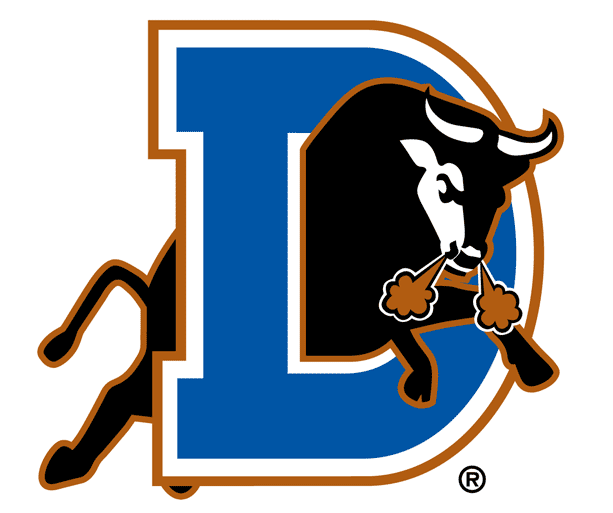 No visit to Durham would be complete without a visit to the American Tobacco Campus downtown, where the FabLabbers enjoyed dinner at Tyler’s Taproom, music on the lawn — and of course, a Durham Bulls game across the street at the Durham Bulls Athletic Park! Copyright © 2015 Minor League Baseball. Minor League Baseball trademarks and copyrights are the property of Minor League Baseball. All Rights Reserved. You can learn more about the work of FabLabs here. 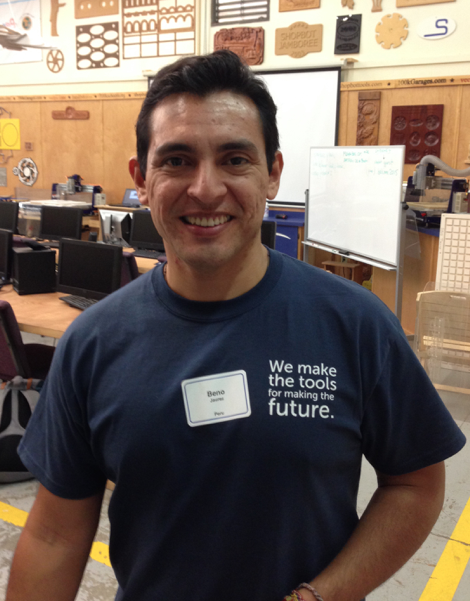 Check out ShopBot’s FabLab resource page here. 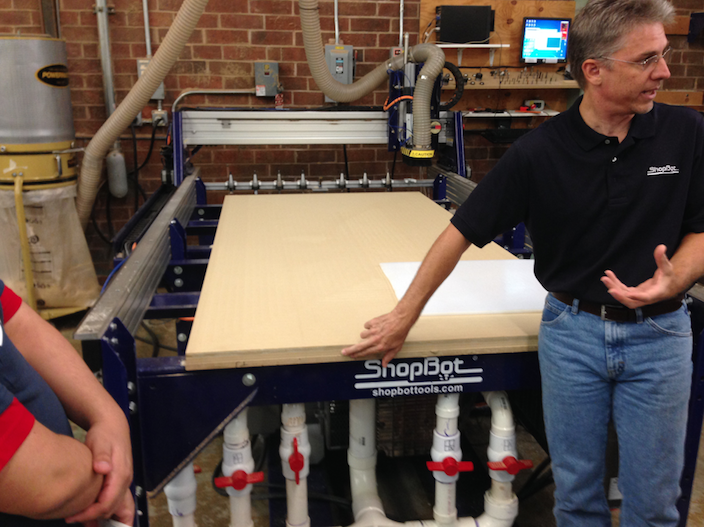 Also, whatever the setting, Shopbot has a wealth of resources for using ShopBot Tools in education.